Welcome Home! 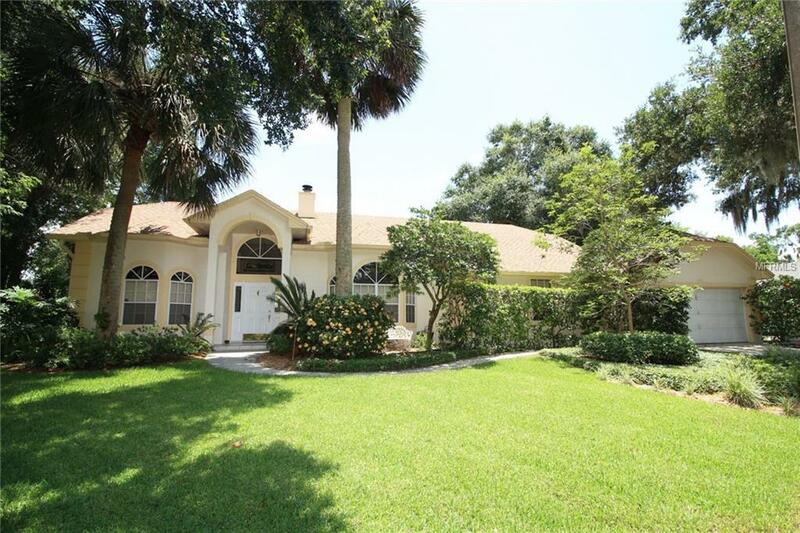 This fantastic pool home is located on a cul-de-sac in a small neighborhood. You will be impressed with the nice curb appeal of the home and the beautifully landscaped yard. Once you enter the home, you will love the open floor plan. The large great room has a wood burning fireplace and fantastic views of the pool and lanai but is the perfect place to relax or to gather with friends and family. The kitchen comes equipped with appliances, ample counter space, closet pantry, and a breakfast bar. The dining room is separate and is a wonderful place for those special family meals. The master bedroom is a true owner's retreat with access to the lanai and pool and a walk in closet. The master bath has dual sinks, garden tub and a separate shower. The secondary bedrooms are large rooms and are split from the master. The 4th bedroom is currently used as an office and has French doors, closet and a window seat overlooking the beautiful front lawn. The screened pool and lanai is an awesome place to entertain or just unwind and enjoy the outdoors. The fenced back yard has room to play, garden, etc... New carpet in living areas (2016), living areas painted (2017), pool deck painted (2018), septic serviced 5/2018, and termite bond is paid through 5/2019, are just some of the reasons you will love this well maintained home. The Seminole Trail is next to the neighborhood and the home is convenient to shopping and restaurants. This great home is ready and waiting to Welcome You Home! Additional Lease Restrictions Buyer Must Verify With Hoa All Leasing information Herein As it May Not Be Accurate. Pet Restrictions Buyer Must Verify With Hoa All Pet information Herein As it May Not Be Accurate.